ELS is an organisation dedicated to the support of children with learning difference and developmental delays. 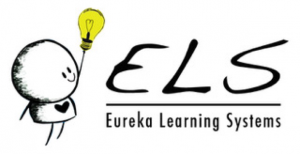 ELS can be used as a one-on-one educational interventional programme, it consists of five core learning areas. The programme follows an individualised developmental approach. ELS focuses on the underlying problem and not the symptoms. ELS is not “remedial” nor tutoring. ELS recognises the underlying reason why a child is struggling to keep up with his peers, academically, socially and behaviourally and focuses on addressing these “barriers” to learning. Its success lies in mediating thinking and giving meaning to tasks. This, in time, translates to learning areas and daily living skills, increase self-confidence and independence. On completion of ELS therapy, a child will have developed strategies to problem solve as well as trained up skills that may have been delayed.